As we know that technology holds our future. We as Engineering students, it’s our responsibility to shape our future with help of technology. 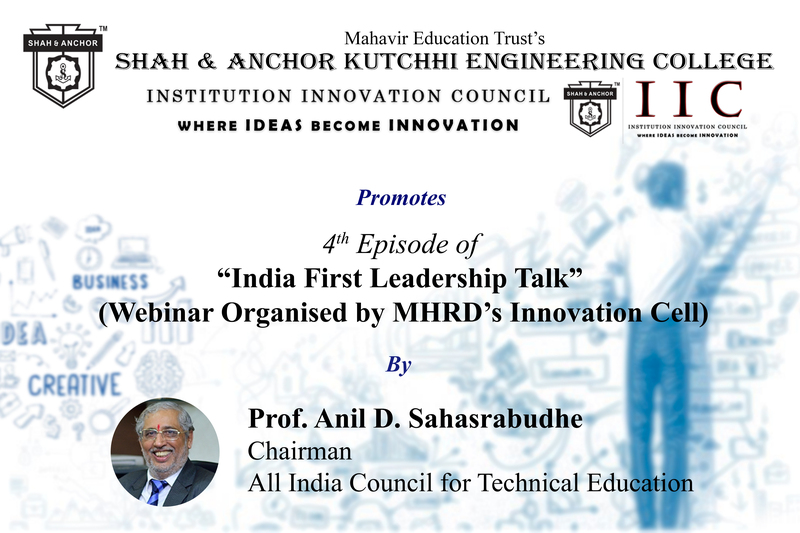 IIC SAKEC is conducting 4th Episode of India’s First Leadership Talk on 22nd April, 2019. The orater of this event is Prof. Anil D. Sahasrabudhe, Chairman of AICTE. He will be discussing about how technical innovations play an in creating a brighter tomorrow and how technology will take help us in achieving it. So guys don’t delay in registration and ensure your seat for the same.